The U.K. Hydrographic Office (UKHO) said it has deployed a motorboat to survey the waters of St Lucia as part of the Commonwealth Marine Economies (CME) Program. Following a stakeholder meeting with the St Lucia Air and Sea Ports Authority (SLASPA) and wider government earlier this year, priority areas will be surveyed, capturing sonar data of St Lucia’s main ports and approaches. These include Castries to Marigot Harbor, Rodney Bay, Vieux Fort Bay and Soufriere Bay. The survey is expected to be completed in October. 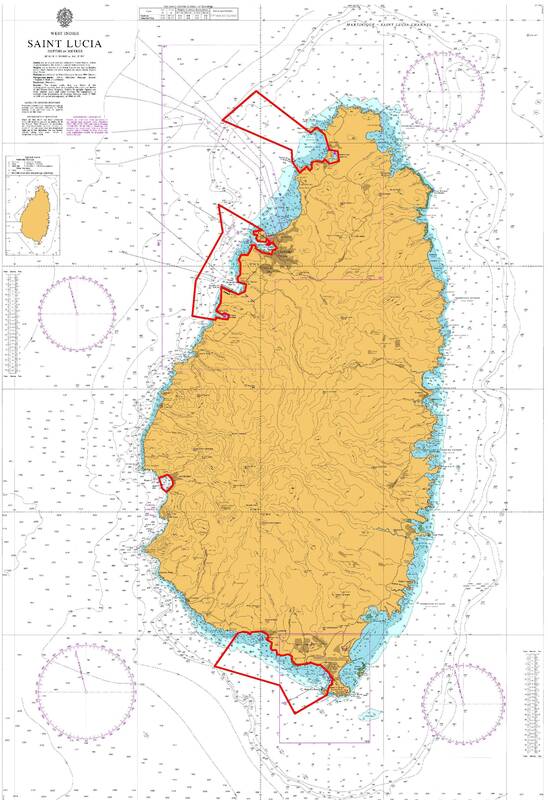 Data from the survey will be used to update navigation charts of the region, as well as help St Lucia to meet its international maritime obligations, including respective elements of the Implementation of IMO Instruments Code (IIIC). These updated charts will reduce navigational risk and improve the safety of ships, cargo and crew. Data will also support a range of environmental and scientific applications, enabling St Lucia to better manage the marine environment in these areas. By supporting safe navigation in the region, the survey is expected to bring economic benefits to St Lucia, by encouraging access for its growing cruise ship sector and maximizing efficiency of trade by enabling ships to confidently increase cargo-carrying capacity. All data will be made available to SLASPA and wider government once it has been processed and validated by teams at the UKHO. The data could also bring environmental benefits to the state, supporting the sustainable management of fisheries and other marine resources, as well as coastal protection and management.